This weeks kishore/kishori sabha focuses on bhakti. The presentation suggest a great way to start and grab everyone's attention. We have said in the past starting with "Webster's define xxxx as yyyy" as in the definition of bhakti is devotion, usually is not a great way to go. It is not unexpected, it is not sticky. The presentation emphasizes that to translate bhakti as devotion does not really do it justice. So how can we expand this idea to do something unexpected. Here are a few ideas. 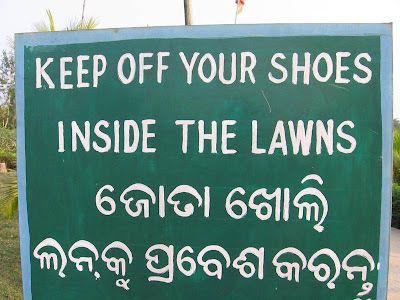 Show some funny or interesting signs that have had a translation problem. Move from there fairly quickly to the problem of translations in general and then specifically to bhakti. Translate a popular song into proper English. Does the song still convey the same message? Move fairly quickly to the idea of translating bhakti. Even though it is difficult many people are trying to translate. TED Talks have a crowd sourced translation method. 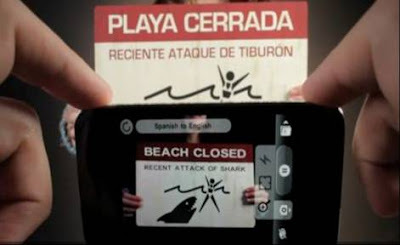 The iPhone even has an augmented reality app. Would this app get the translation of bhakti correct? Unexpected gets people's attention. We need to follow with some credible and concrete examples in the form of story to keep that attention.